Do you know the contribution (net profit) of every customer? Do you build this into your pricing policies? Do you understand potential profitability? Is life time value (LTV) calculated and used in defining key accounts? Do you track & store Customer Service interactions? Have you established the real needs of your customer groups? Have you mapped where value destroying ‘pain points’ exist in the value chain? 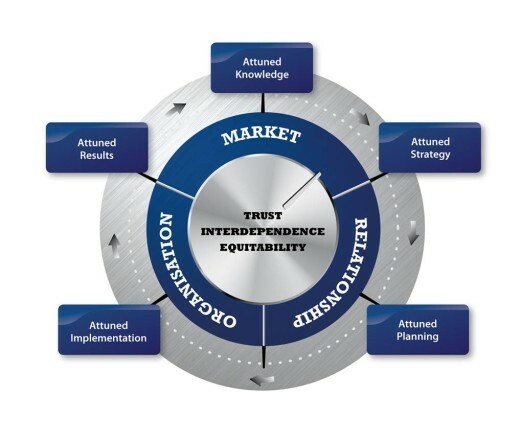 Is there a vision for Trust, Interdependence and Equitability that specifies how you define & measure them, their ideal state, and how this will be achieved? Do you segment your customers into groups that reflect similar value, needs and/or CM requirements? Does the strategy cover the physical and emotional experience in all touch points / moments of truth? Are there high-level account, stakeholder and contact plans for every customer? Are all relevant internal functions involved in account planning? Is seasonal/periodic buying behaviour planned into your CM? Do you have mitigation plans for product/service/project delay or failure? Are you delivering to agreed service levels? Are staff empowered to handle queries? Are you welcoming new customers? Are respect & trust the basis for all dealings & insight sharing? Does contact frequency vary by value or need? Do you have intensive care teams? Do changes in transaction patterns trigger action? Do you track customer experience quality and performance vs. agreed standards? Do you measure retention, lapse & attrition rates? Are you achieving customer profitability targets? Do customers value the account manager’s time that they pay for? Are customer measures in a language that demonstrates your contribution to their success? The chart shows the highest, lowest and mean (benchmark) scores for companies on the Customer Attuned database. 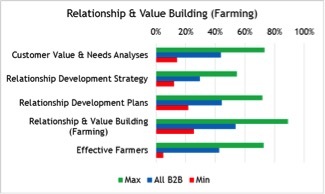 It shows that B2B overall is relatively weak in strategy but strong in execution, although nobody is doing it perfectly. The lowest scores registered show at least some planning and activity in this area, with execution being the ‘least weak’ of all the low scores (otherwise they’d be out of business!). Define Trust - What's in a name?